With the coming of each brand new freestyle scooter season, we over here at Lucky Scooters like to spruce up our annual product line with some brand new products, designs, and color options in order to keep things interesting for all of our beloved Lucky Scooters fans out there. Although making some small color and specification changes may not seem like all that big of a deal to the vast majority of you freestyle scooter enthusiasts out there, we still like to think that these small changes are worth noting and celebrating. 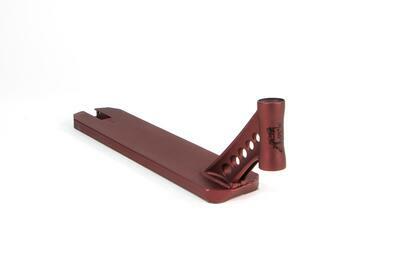 One particular change that all of you die hard Lucky Scooters Evo deck fans out there can look forward to with the coming of the 2018 season is the brand new Lucky Scooters 2018 Evo deck, which will now be available in a very slick Maroon color that we assure you, you have yet to see on any freestyle scooter product ever released onto the market. 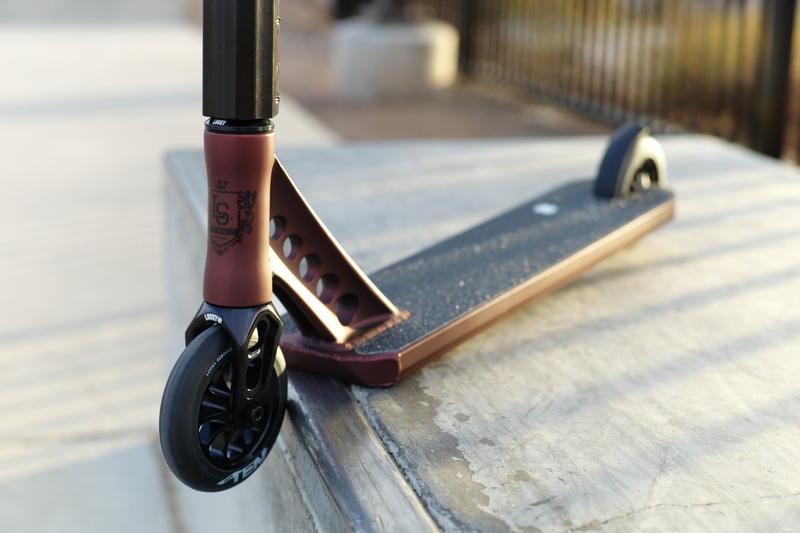 With that being said, the Lucky Scooters 2018 Evo deck will come equipped with the same great features that all of you have come to know and love, with the exception this awesome new color option. So, if you are really looking to switch things up with the overall look of your scooter than this all new Lucky Evo color option is the right move for you. 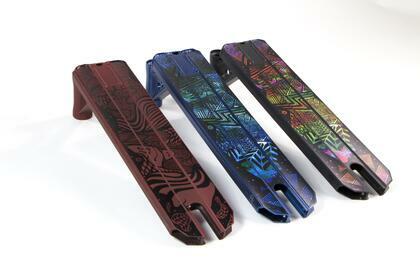 As far as the rest of the 2018 Evo deck specifications are concerned, be sure to check them out below and decide for yourself if this bad boy is the right deck for you. As you can clearly tell based upon the very detailed list of specifications provided above, the brand new 2018 Evo deck brought to you by Lucky Scooters essentially comes equipped with just about everything that you could ever ask for in a freestyle scooter deck, so be sure to stay tuned right here at the Lucky Scooters blog for official release information regarding this hot, new product, which will be available at the very affordable price of just $154.95. Also, don’t forget to stay tuned right here at the Lucky Scooters blog for any and all other future Lucky Scooters related product information and updates, as well as any and all other future Lucky Scooters news, content, and more. 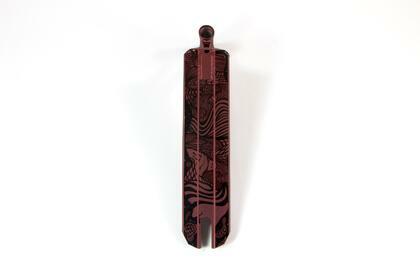 Looking for a maroon Evo deck? Shop HERE!